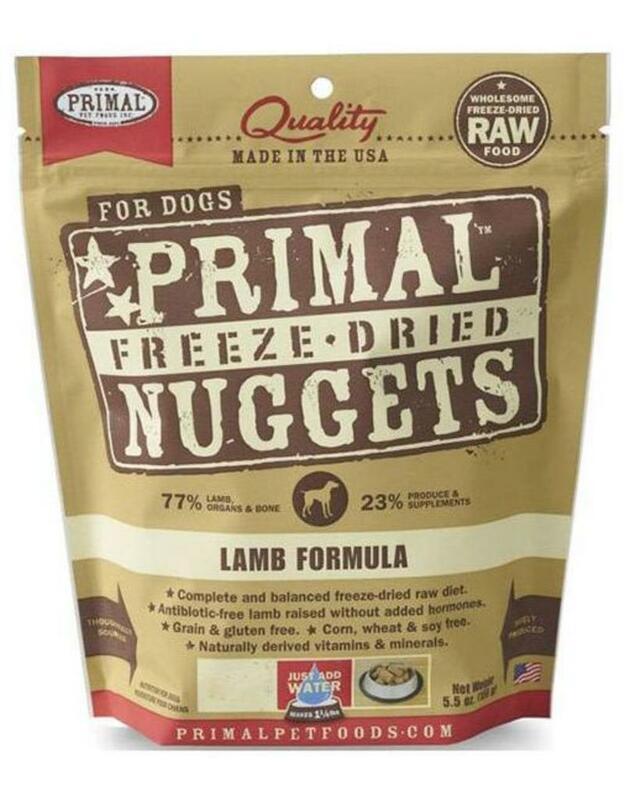 Primal Nuggets Freeze-dried Dog Food offers the convenience and benefits of a well-balanced, safe and wholesome raw-food diet without having to grind, chop, measure or mix it yourself. Only the freshest ingredients are used, including real meat that’s free of antibiotics, steroids and added hormones. Certified organic produce, certified organic minerals and unrefined vitamins are also incorporated to fortify this complete and balanced diet. The combination offers optimum levels of the amino acids, essential fatty acids, natural-occurring enzymes and necessary vitamins and minerals that are the building blocks for your pup's healthy biological functions.